With 1000W motor and fat tire, the SuperRide S1000 self balancing one wheel electric scooter delivers a comfortable riding experience on various terrains. Like the idea? Let’s keep checking. The S1000 is powerful and flexible self balancing electric unicycle that weighs 45 pounds. 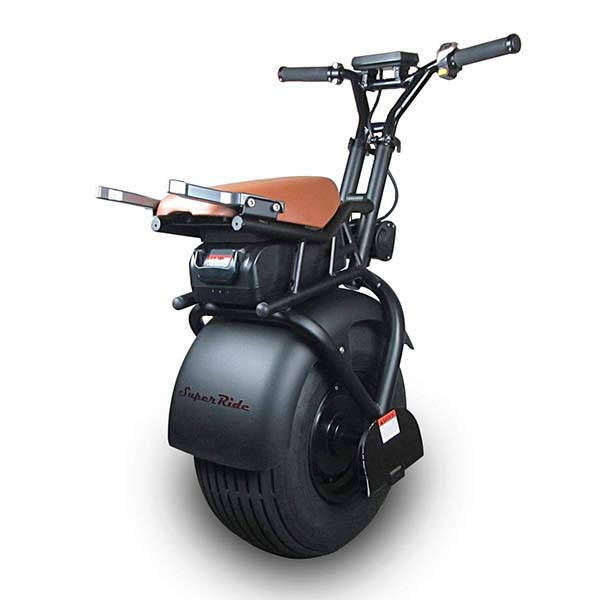 As we can see from the images, the one wheel electric scooter sports a pretty cool, tough and rugged appearance design defined by the solid black metallic frame and striking fat tire, while the brown seat brings some classic aesthetics to the one-wheel eScooter. Meanwhile, the seat height is 26 inches, and the handlebar height is adjustable from 32 inches to about 39 inches. This should be comfortably suitable for most riders. 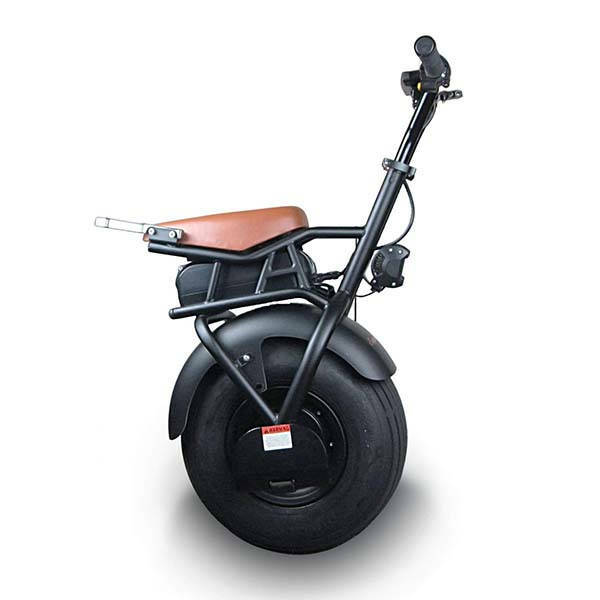 The S1000 one wheel electric scooter comes equipped with a 1000W motor and a removable 60V 5.8Ah rechargeable battery pack in order to offer a top speed of 20 mph and up to 15 mi riding distance on a 45-minute charge, and it can carry up to 280 pounds. 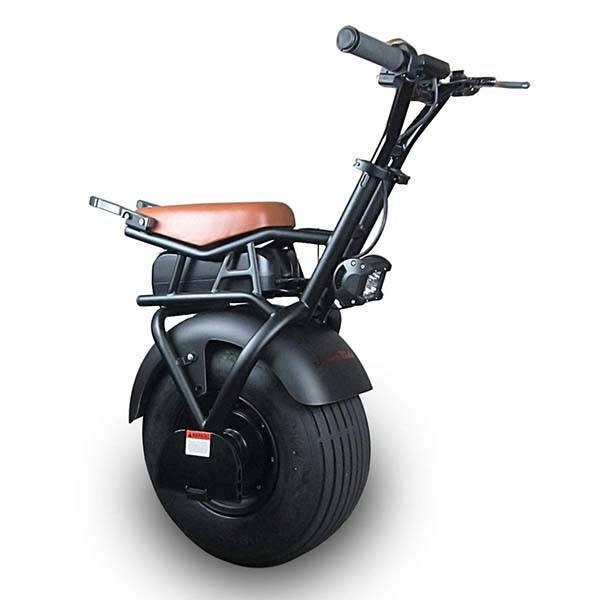 Furthermore, the big fat tire allows you to ride it on various terrains, and its advanced self-balancing gyroscopic technology keeps the electric scooter steady with very little support from the rider once seated. Simply leaning forward or back, you can keep it going or braking, and t can be performed via using your body weight to lean left and right. Moreover, the unicycle has an LED display to show you battery and speed info. The offroad style LED headlight lets you safely ride in low light conditions, while the electronic horn alerts pedestrians on the road. The S1000 self balancing one wheel electric scooter is priced at $1,299 USD. If you’re interested, jump to the product page for its more details.